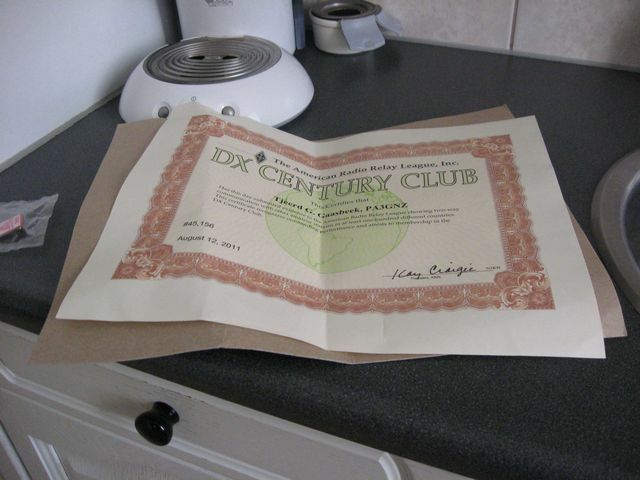 Last week I wrote about the certificate I received. It was folded in the envelope. Yesterday the post ring the bell with the announcement that there was an envelope to big for my mailbox. So, she gave it personal to me. This time the certificate was between 2 pieces of cardboard. A very good & quick service from the ARRL. The only thing I have to do is put it into a frame. Until now I did find a frame from size 28 x 35 cm. It's 11 x 14 inch. Yesterday evening I finished with the upload of my PB0ALS log to LOTW. 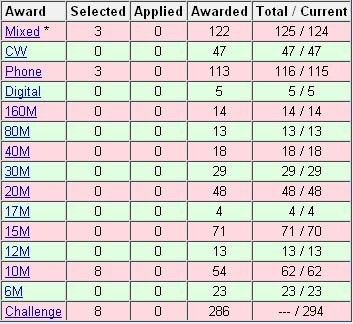 All HF qso's I made are manual uploaded to the LOTW server. Today (August 25) there are 5851 qso's in LOTW and 651 are confirmed by qsl. Write me if you worked me in the past but there is no qsl match on LOTW. PA3GNZ, PA3GNZ/P, PA3GNZ/LH, PA53GNZ and PB0ALS. 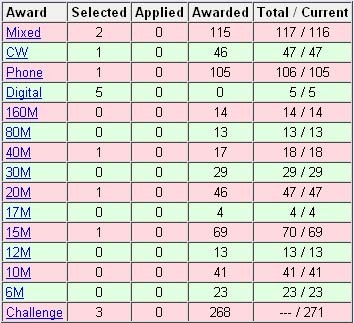 Last week, via the LOTW site, I made a request for the DXCC mixed certificate. Yesterday I received the certificate in the mailbox. After an email exchange with the ARRL helpdesk, they promised me a new certificate. This time it is shipped in a tube at no additional cost. Last week I import the certificate I received from the LOTW administration and upload my log to the LOTW website. 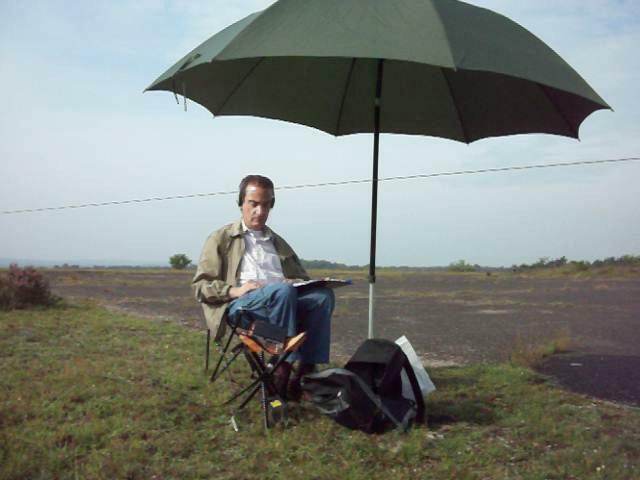 I separate the qso's made as: PA3GNZ, PA3GNZ/P and PA3GNZ/LH. 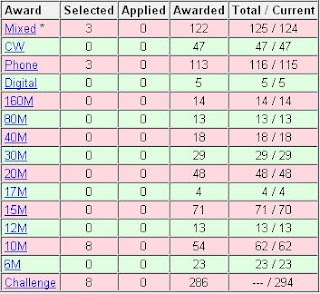 The summary on the LOTW page tell me that I made 4337 qso's until yesterday. 556 of them are confirmed by LOTW. 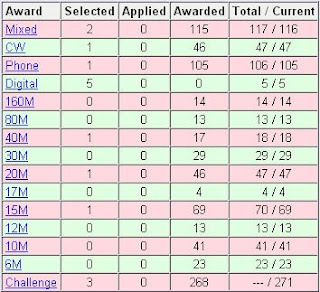 When I request for the DXCC results I saw this summary. I have more countries confirmed via paper cards. I use logger16 and switched to Logger 32. In this version I can import the lotw file and make a merge of the paper and LOTW cards. Will be continued. Maybe you know that the last few days we had the peak of the Perseids meteor shower. Yesterday I build up my 6M station and connect my laptop to receive JT6M signals on 50.230. Yesterday and this morning I received signals from all over Europe. OY6FRA is one of the stations I saw. Communication via the computer is not my way of this hobby. So, this was a very short experiment and for me closed. In spite of this I was surprised that I can pick up MS signals with my GP for 6M. A few weeks ago there was the plan, together with Geert, PA7ZEE who had been here before, to activate SOTA PA-005 "The Galgenberg". Last Saturday, August 6, we decided to go. According to the expectations it could remain dry until around noon. To protect us for some rain we had a fish-umbrella with us. First we have to set-up the DX-wire pole for the delta loop, then my FT817nd connected. Currently, we discovered that the Elecraft T1 tuner did not work, so first I tried only 20 m. I made 5 qso’s in SSB with only 5 watts output. Meanwhile, Geert set-up the 30 m long wire for the KX1, a tree throw, which succeeded already the second time! The counterpoise of 3 times 10 meters was disheveled and we accepted that as a fact. Once called on 7032 kHz and Geert made within 6 minutes 5 qso's, a little pile up! Our objective for a SOTA point, at least 4 qso's per person, had already met. Around 8:45 UTC, we switched from place and I made 3 QSOs with the KX1. What an experience to work with this set! Meanwhile Geert tried to solve the problem with the T1, and he succeed at the end. The procedure is first 'power' button and then follow the instructions on the box. Then I could make a CW QSO on 40 m with my FT817nd. Almost on the end of our activation, I switch to 30 m and made a QSO with LA9RY. Knut was on his holiday address on an island with IOTA reference EU-055. The forecast for later in the day was thunderstorms and heavy showers and around 10 hours UTC we managed to get everything dry in the car. After some food and a drink in the 'Termiekbel’, we drove to Tiel. Geert had very heavy rains on his way to Amstelveen. Just luck and a little weather knowledge, helped to look back on a successfull SOTA activation. Thanks to Geert. With his support this expedition was physically possible for me. Saturday, August 6, will be qrv from SOTA PA/PA-005. Watch for PA7ZEE/P and me on 30 and 40 meters. We will be qrv with cw and qrp power.